→ Instructions for subscribers only: You may select one title each year on entering a new subscription or on renewal. Instead of ordering through the sources linked here, simply contact us with the email address you used to enter your subscription and let us know which book you’d like sent. You’ll receive the book and, only if applicable, a PayPal invoice for the discounted price. You may enter a new subscription by visiting the subscription page here. Most books are perfect-bound quality paperback editions. Truinas is the hardcover exception. The First Set of Twelve. Stephen Wiest, born the day after Pearl Harbor, has worked as a janitor, bartender, Fuller Brush salesman, printer, and gardener for people who like flowers but not dirt. In the late sixties, he was poet-in-residence at The Johns Hopkins University’s Writing Seminars, under Elliott Coleman. He lives in Rock Hall, Maryland, an old waterman’s town on the Chesapeake Bay. Although he has written five books of poetry and four novels, this final version of Screeds is his first publication in twenty-six years. From the preface: ‘This is a book which synthesizes a lifetime of reflection on the origins of the modern world. Through forty years of travel in Europe, Australia, India, Nepal, Japan and China I have observed the similarities and differences of cultures. 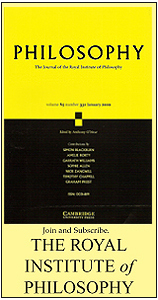 I have read as widely as possible in both contemporary and classical works in history, anthropology and philosophy.’ Prof Macfarlane is a Professor Emeritus of King’s College Cambridge, a Fellow of both the British Academy and the Royal Historical Society and the co-editor of The Fortnightly Review. He is the author of The Culture of Capitalism, The Savage Wars of Peace, The Riddle of the Modern World and The Making of the Modern World, among many others. This book contains the following pieces, all published first in The Fortnightly Review: Essayism and Modernity | William Blake. | Therianthropes and vents. | Constellations. | Pattern recognition and the periodic table. | Extremities of perception in an age of lenses. | Demotic ritual. 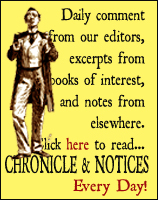 | Science and disenchantment. | The self-subversion of the book. | Newton’s prisms. | The Janus face of Metaphor. | Clues and labyrinths. | Ruin, the collector and sad mortality. Alan Wall was born in Bradford, lives in North Wales, teaches at the University of Chester, and studied English at Oxford. 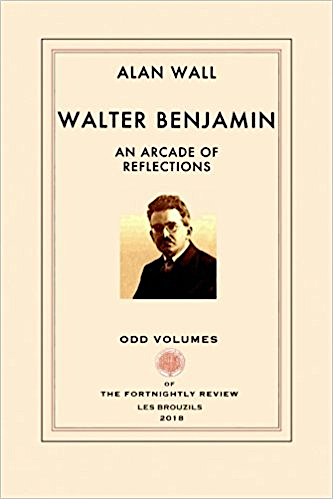 He has published six novels and three collections of poetry in addition to this collection of essays and a subsequent collection of essays on Walter Benjamin, also published by Odd Volumes and listed below. Oswald Sickert’s delicate examination of two middle-class, late-Victorian characters – an ambitious writer and his wife, a freshly liberated woman — and their rather modern relationship. It has been more than a century since this book first appeared (in 1894, in Unwin’s ‘Pseudonym Library’ — where Sickert’s pseudonym was simply ‘Oswald Valentine’) but the anxieties of modern lives lived in a period of transition will be quite familiar to most twenty-first century readers. 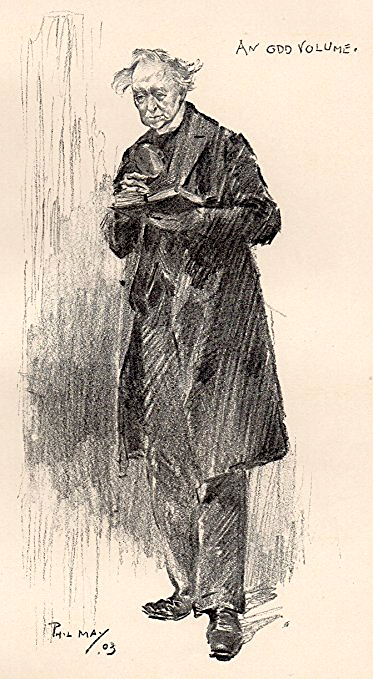 Oswald Valentine Sickert was the younger brother of Walter Sickert, the famous painter and student of Whistler. The Sickerts were a very well-connected family. Their home was the social hub of an influential circle of artists and critics, and Cambridge-educated Oswald was the family favorite. Among his friends were Edward Marsh and Bertrand Russell. 8. Science and Religion by Ferdinand Brunetière; translated by Erik Butler (April 2016) Price: $15.00 | £10.00. This is the first English-language translation of Brunetiere’s Science and Religion, which was originally published in 1895, and was one of the most controversial books of its time. Written by a leading French secularist (at the time, the editor of the influential Revue des Deux Mondes), Brunetiere’s public reconsideration of traditional Catholicism elevated the controversy surrounding science and faith by infusing the emotional debate with intellectual rigor. This debate rages on today, often with scientist-celebrities on one side and thoughtful theologians on the other. This book has as much relevance now as it did when it first appeared more than a century ago. Note: All orders placed by subscribers will also include a complimentary copy of Brunetière and the ‘monster banquet’ by Elton Hocking in an e-book format unique to Odd Volumes. A good writer is a good reader. But of all the things a writer reads, nothing is more moving, more soul-wrenching than a slip of paper (or an email) reading “Rejected!” It’s a life-changing thing. Stephen Wade’s life has thus been changed many times. If you’re a writer you know what the experience is like. Out of a spirit of melancholy collegiality, Stephen Wade offers some hard-won advice — if not also consolation — for writers facing the opposite of acceptance: Rejection. Philippe Jaccottet is the prize-winning, Swiss-born French poet who, in 2014, became only the third poet (after René Char and St. John Perse) to enter Gallimard’s Pléiade list while still living and working. 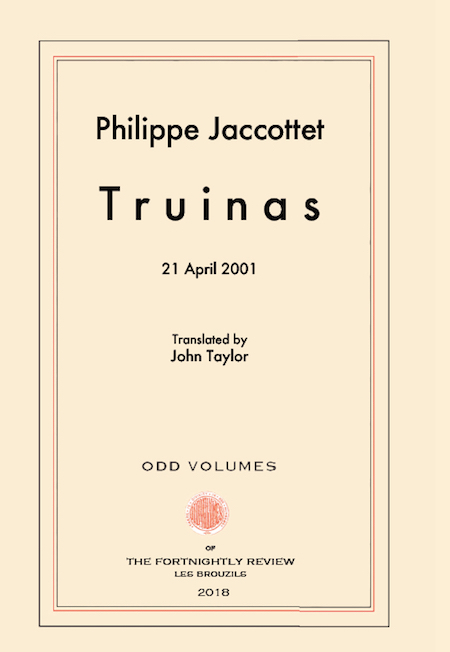 “Truinas, April 21, 2001” is Jaccottet’s meditation on his long friendship with another essential French poet, André du Bouchet (1924-2001), provoked by Du Bouchet’s funeral — ‘an event that evokes memories of their first meeting a half-century earlier, their literary affinities (notably their common literary admiration for the poetry of Friedrich Hölderlin), the particularly vivid perceptions of the natural surroundings of Du Bouchet’s house in the south of France, and, not least, the doubts–scruples–about the very possibility of writing truly and honestly about death.’ — John Taylor. This is a cloth-covered, limited edition. First English translation. Walter Benjamin (1892-1940) was a German philosopher, essayist and critic whose work has grown in relevance and importance in the 75 years since his death by suicide on the French-Spanish border as Nazi invaders drew near. In his possession: a mysterious suitcase, now lost. The University of Chester’s Alan Wall examines many of the recent contexts for discussions of Benjamin and offers detailed explanations for the overdue resurgence of interest in this important writer. …may be purchased as a lot at a 20 percent discount (25 percent for subscribers). Shipping additional. 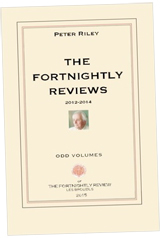 Inquire on info (at) fortnightlyreview.co.uk. 1. Consciousness (with Mutilation) by Anthony Howell. (180 pp, paper, January 2019.) $18.00 £15.00. Gratis to subscribers on request. Brunetière and the ‘monster banquet’ by Elton Hocking. (June 2016). In .pdf format. Montes the Matador by Frank Harris. In preparation. Additional titles will be announced on this page. * PLEASE NOTE: The subscriber offer is available to new and renewing subscribers only. Limit: one title/subscriber/subscription year. 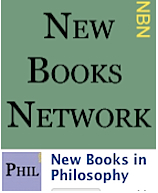 Subscribers: to receive your book, order directly from us, not from Amazon. Simply send us an email. Allow 4-6 weeks for delivery. For details, contact us on info (at) fortnightlyreview.co.uk.